The Big B is back and better than ever! Let me briefly describe the layout and what it’s intention is. The layout is 40 x 5 x 20. This ball is drilled to go medium length, and transition quickly at the breakpoint, creating a later and sharper breakpoint. My first impression was, wow does this ball move on the backend! I was downright surprised to see a ball that is a high end ball, meant to handle heavy oil, actually make such a huge move on the backend. Normally balls that make that type of move are medium or lower end balls on drier conditions, where the ball reaction is clean through the heads and reacts very quickly to the dry. The entry angles this ball generates with this layout are simply impressive. I even thought to myself, could this really be a heavy oil ball if it can move this much on a medium condition?? 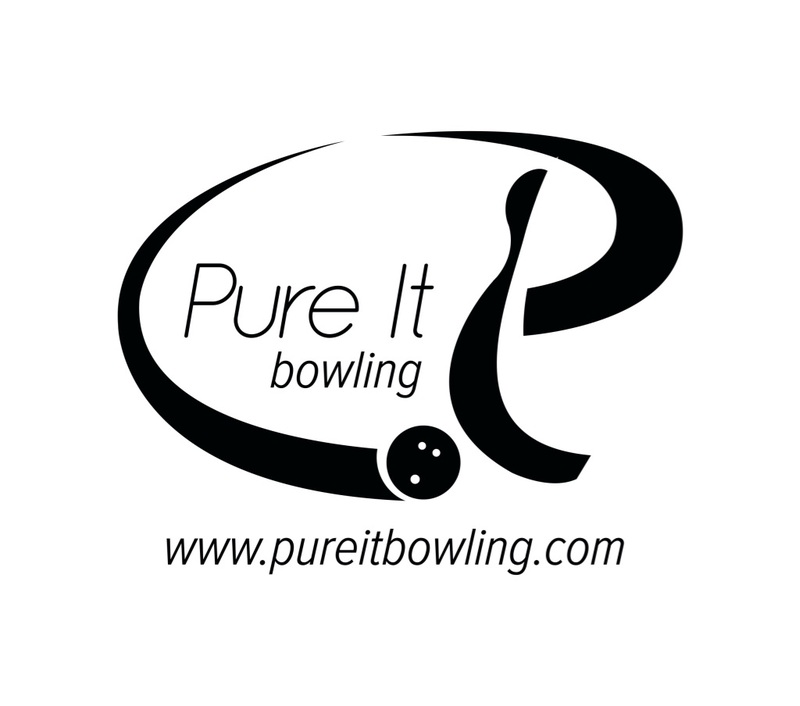 With the $50 rebate available from Brunswick, the price is as low as it can get for any high end ball. You can’t beat 50 bucks in your pocket. The core known as I-Block has an RG of 2.52 and differential of .050 and a mass bias of .017. This is a medium differential, allowing the ball to store a little more energy for stronger downlane reaction. The ball seems to rev very easily while still being very aggressive at the breakpoint. 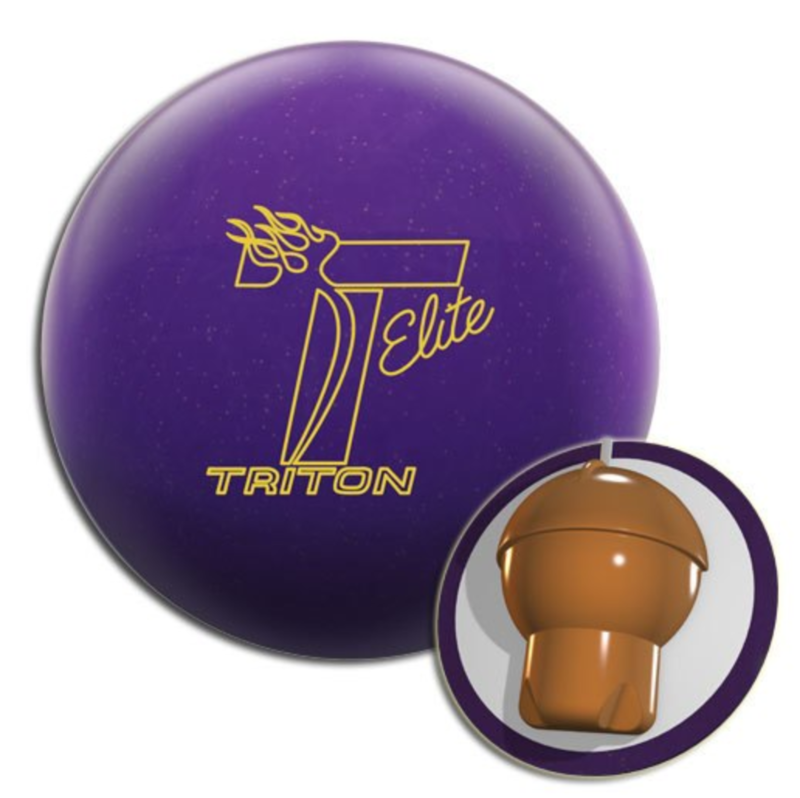 The core creates an overall strong ball reaction with more of a flippy reaction than typical heavy oil balls. Brunswick talks a lot about the very high friction factor created by using more chemical additive to this cover. The cover comes from the factory finished at 500, 800, and 4000 Siaair Micropad. We tested with 2000 finish. The cover can be adjusted very easily so you can try many finishes to find the reaction you are looking for. Although this is meant to be a heavy oil ball, we tested on a medium condition house shot as most will see this more often than a flood. I found this ball to be a monster, yet still very effective on the medium condition. While we saw a little laboring when testing the Storm Virtual Gravity Nano on this condition, the Alpha Max did no such thing. It had a very consistent breakpoint. Part of this maybe due to the possibility that the Nano is actually a bit stronger, and thus used up more energy in the heads. With the Alpha, I didn’t have to overthrow it to overcome early friction, even though we used 2000 rather than the OOB 4000. You just had to get deep enough to find the right line, but it seemed to always have enough energy to destroy the rack. 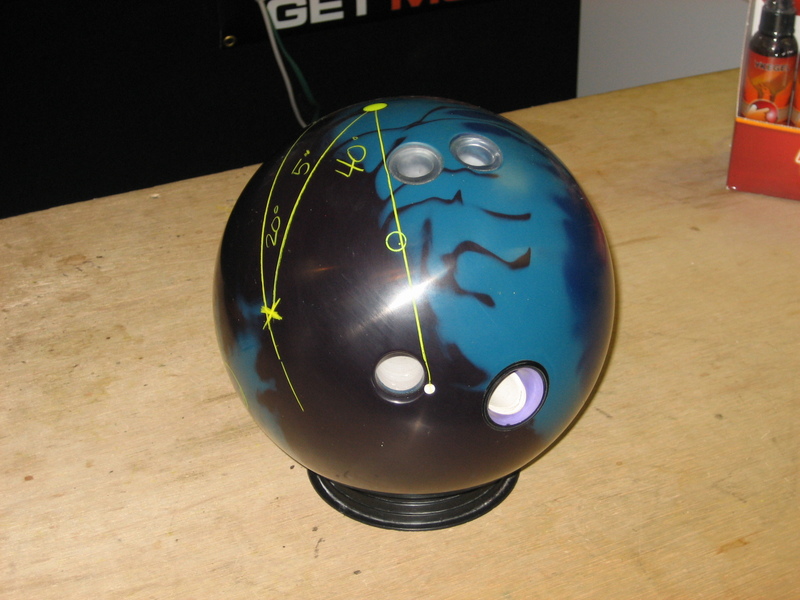 This drilling was recommended by Chuck Gardner of Brunswick to staffer Lee Sandt, also owner of Bowlerx.com pro shop. I will say that this drilling absolutely shows off this balls prowess. It gets down lane pretty nicely, but makes a very strong and consistent move at the breakpoint. Don’t mistake this for the typical skid/flip reaction which can be over/under at times. This ball turns over pretty quickly and gets into a heavy roll into the pocket. Check out the video and see for yourself. The Digitrax analysis will show you the entry angles this ball can generate. I also didn’t see a really quick breakdown of the lane condition as heavy oil balls tend to do. It definitely opens up the lane but it seems to do it just right, making it pretty comfortable when you step down to a weaker ball. While I haven’t come across a heavy/long pattern to use this for, this is one of those balls you would consider for that spot in your bag. The benefit of having this particular one is its ability to still be very playable on a fresh medium shot. That can not be said for all heavy oil balls. I am quite impressed by the backend this ball generates and it’s usability. I’m also generally impressed how well Brunswick’s current lineup fits together. There is a clear distinction in ball reactions and an ease with which to build an arsenal based on complimentary ball reactions. Tweeners/Power Strokers as well as pure strokers will be able to use this ball on many heavy to medium conditions. I wouldn’t bother bringing this out on drier conditions as there are many better options. If you weren’t sure, Big B is back. 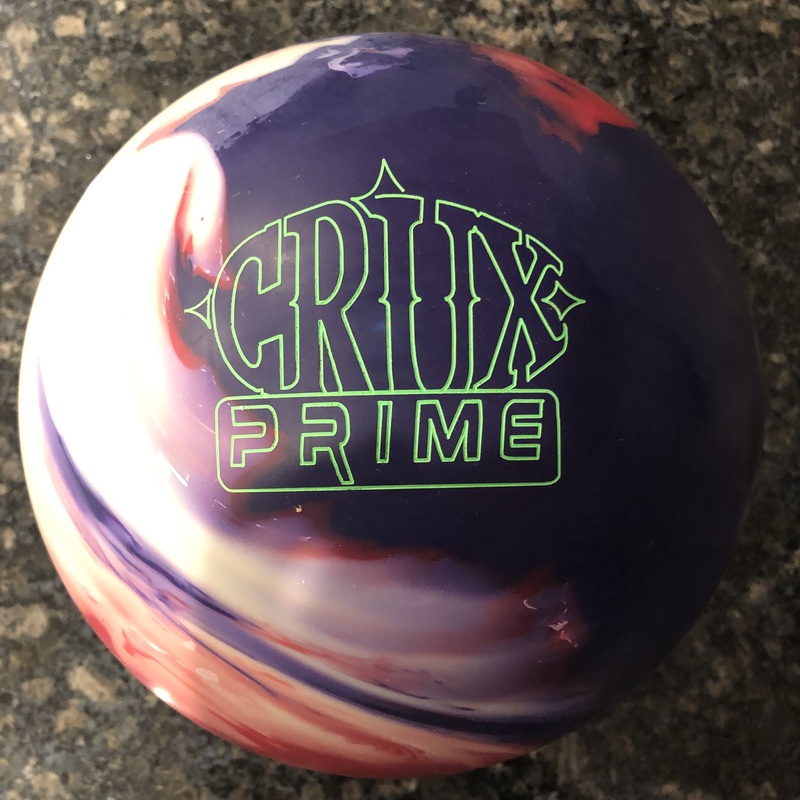 In my mind, the C-System Alpha Max and Wicked Siege are two of the most impressive balls in their respective categories currently on the market. Previous PostNew Storm equipment coming soon… with Pictures!Next PostDo you have trouble hitting your target consistently? I’m not sure if it’s a really new release or something, but I just saw a c-system delta max in a pro shop in my neighbourhood today, which sits right next to an alpha max. Has anyone heard the news that there’s yet another c-system in the lineup? Also, I found a list of “USBC Approved Bowling Balls” from the internet that there’s an “alpha max INT” (alongside the delta max, which were approved on May11). Does anyone have any clue what the “INT” indicates? Thanks! Can’t wait to see it being reviewed here! 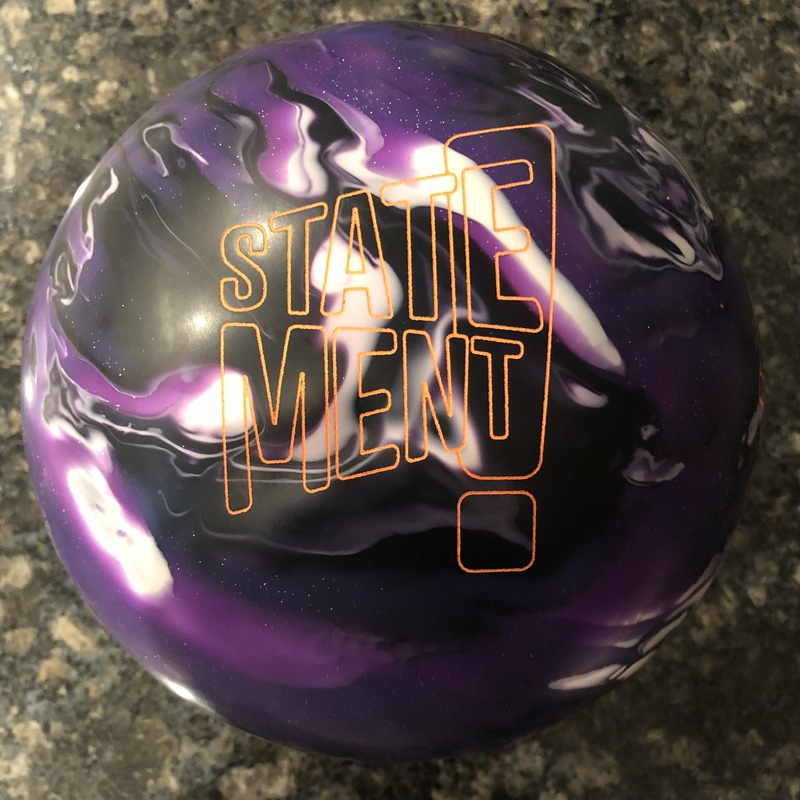 i recently purchased this ball, and im waiting for it to come in…..i throw a storm fear factor now….i throw down and in pretty much between the first and second arrow! will i have to move for this ball?? will it hook more than my fear factor?? any input will be greatly appreciated! Hi. I guess you will find out for yourself soon enough 🙂 Depending on how many games are on the Fear Factor, I would assume you will get more hook out of your Alpha-Max. If you are on pretty dry lanes, you might see a little less if the Alpha burns up. I haven’t seen you bowl so I don’t know what conditions you bowl on and what your speed or rev rate is so hard to say for sure. Good luck. Let me know how it works out.